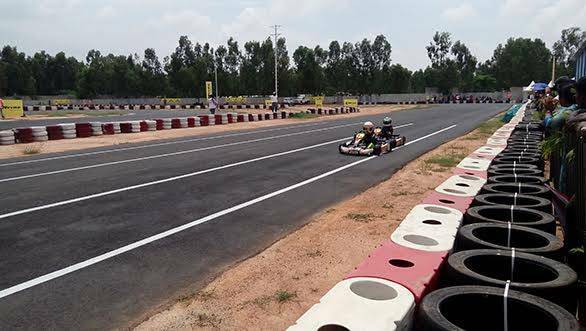 The fifth and final round of the 12th JK Tyre FMSCI National Rotax Max Karting Championship 2015 was conducted at the Meco Kartopia, Bengaluru over the weekend. The Practice, Qualifiers, Heat One and Heat Two were reserved for Saturday. 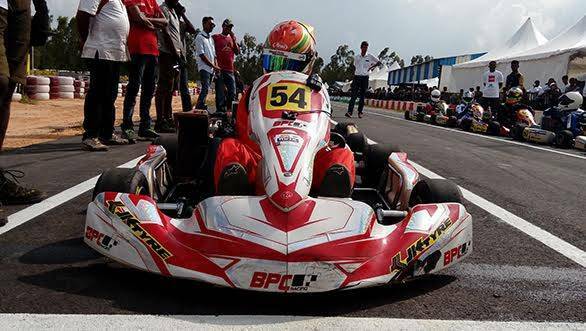 In the Micro Max Category, championship leader Shahan Ali Mohsin made a brilliant start from the last position after being disqualified for a technical infringement during qualifying. Shahan drove at a measured pace but slowly began picking up the drivers ahead and passed them with some clean moves. In a matter of four laps out of the scheduled ten, Shahan rose to P1, eventually winning the race. He replicated the feat in Heat Two also, increasing his grasp on the championship title. In the first Heat for the Junior Max Category, Mohammed Nallwalla started on pole and put up a flawless drive to finish in P1. He won Heat Two too, increasing his chances of winning the championship. Unfortunately he was penalised for a technical infringement and that dented his hopes for the title. Manav Sharma was hence promoted to P1 after Mohammed's penalty. Heat One and Two in the Senior Max Category was a flag to flag win for Ricky Donison who was flying around the kilometer-plus circuit. At the end of Day One, Shahan Ali Mohsin, Manav Sharma and Ricky Donison were to start on pole for the Pre-final race the next day. The Pre-final and Final races were scheduled for Day Two and the tension in the pits was palpable as the drivers geared up for the final races of the 2015 season. In the Pre-final for the Micro Max Category, Shahan again made a great start and began dialling in quick laps. The young boy from Agra remained composed and cool as he began pulling away. However, making his life a little difficult was his team-mate Nikhil Bohra. He began piling the pressure on Shahan, coming within inches of Shahan's kart at every corner entry. Ultimately,Nikhil made a move on the inside of the corner before the start-finish straight and made it stick as he powered out into P1 on the penultimate lap. Shahan tried to get back at him again but Nikhil had excellent pace. Shahan did not need to risk it as he had the championship to think of and kept his nerve, crossing the finish line behind Nikhil. Aditya Swaminathan finished third. In the Final Race of the Micro Max Category, the pressure was definitely on Shahan as he sat on the grid. A quick pep talk from his father and mechanic got him ready for the challenge ahead. Nikhil Bohra and Ruhaan Alva, on the other hand, were set to compete for P2 in the championship. As the green flag was waived, Nikhil Bohra floored the gas pedal and began extending his lead from the first corner itself. After the first few laps, Shahan was being chased by Ruhaan Alva who made a move on him and moved to P2. Ruhaan had begun chasing Nikhil too, who had by now built a considerable lead. But in the last few laps, Shahan made a text book move on the inside of Turn Four and snatched P2 from Ruhaan. 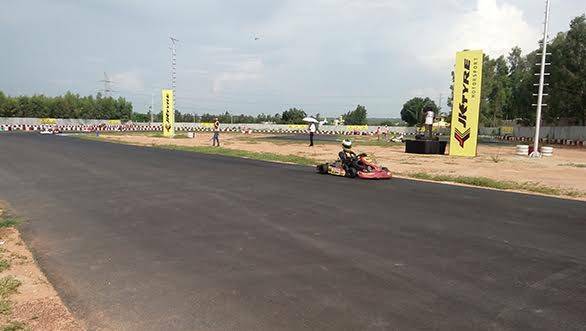 Nikhil Bohra won the Final Race but all eyes were on Shahan Ali Mohsin as he crossed the line in second place. The crowd cheered the new Micro Max Champion as he was on his victory lap - Shahan taking off his helmet and running up to his dad to hug him was one of the most memorable moments of this round. The Pre-final race in the Junior Max Category was packed with intense action as the drivers fought hard. Nirmal Umashankar started from pole and managed to stay ahead till the chequered flag waived. Akash Gowda too drove impeccably to finish in second. But the driver on fire was Rayo Racing's Mohammed Nallwalla. The Mumbai boy started on P7 after the previous day's disqualification but soon began overtaking others. He was then locked in a battle with Akash Gowda but made a small mistake, losing three positions. Unfazed, Mohammed began the chase again. After battling it out with Yash Aradhya, Mohammed managed to overtake him on the last lap and secure P3 at the end of the Pre-final race. The Final Race saw Mohammed Nallwalla slide into the lead soon - he didn't put a wheel wrong as he drove to victory. Nirmal Umashankar was second while Akash Gowda was third. His P3 finish was enough to bag the champion's title. The Pre-final race of the Senior Max Category had the drivers were fighting tooth and nail. While the championship leader Ricky Donison kept extending his lead at the front, Rayo Racing team-mates Ameya Bafna and Nayan Chatterjee (who races for Rayo engag but under his own team, Seven Racing) were engaged in a bitter battle. Nayan was looking to erase his five point deficit to Ricky in the championship but got held up. Dhruv Mohite was also not making it easy for him. After many attempts and some good defence from Ameya, Nayan finally managed to get ahead. The move, however , was too late and Ricky managed to win the race by a considerable margin. Dhruv Mohite and Krishnaraj Mahadik finished in P2 and P3 respectively. The Final race was another nerve cracker with a four way battle for P3. As for P1, it was Ricky who ran away at the front. Meanwhile, Dhruv Mohite, Nayan Chatterjee, Ameya Bafna and Krishnaraj Mahadik were fighting within inches of one another. Nayan tried to make progress but again faced opposition from Ameya Bafna who was defending his third position. Nayan tried making a move on several occasions but made mistakes, running off the track twice. He did not lose his composure and managed to grab P3. Vishnu Prasad, with years of karting experience finished second to a rousing applause from the crowd. The race was won by Ricky Donison. The BPC Racing driver enthralled the crowd with his superb abilities and everyone was left awestruck when he managed to create a gap to Vishnu that was over the entire length of the start-finish straight. With this win Ricky Donison bagged the champion's title in the Senior Max Category. 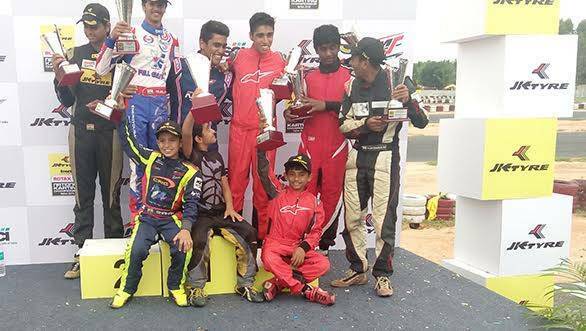 Akash Gowda and Ricky Donison will now race in the 2015 World Karting Finals in Portugal. Also, the top three drivers in the Junior Max and Senior Max Categories will get a chance to race in the 2016 JK Tyre Racing Championship where they'll drive JKFBO2 cars.